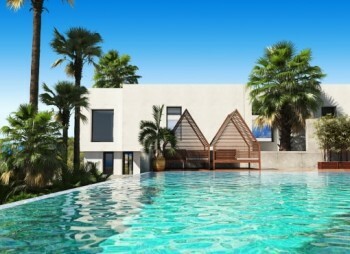 Duncan Bannatyne, well known entrepreneur and TV personality, made the decision to sell his home in France to take advantage of Portugal and all the benefits it has to offer. He found his home at the popular Overseas Property Show, where he met with founder of the property exhibition, Chris White, who helped him to find his dream home in the Algarve, Portugal. 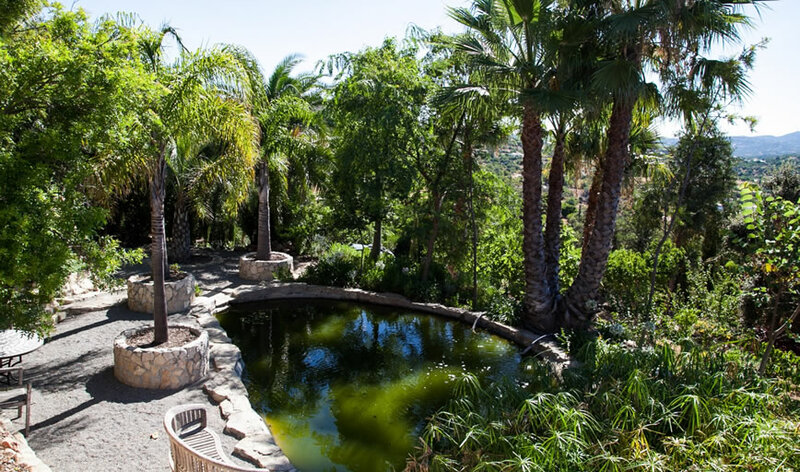 With a busy lifestyle and many demands, the Dragon’s Den star wanted a place where he could retreat to, providing him with the means to escape the pressures of life and when he bought his home in the Algarve through Ideal Homes International, life had never tasted so sweet! Portugal is an increasingly popular location for buyers looking to relocate and buy second homes due to its fantastic quality of life, ease of access from the UK, growing property market and welcoming atmosphere. Additionally, the benefits reaped from tax incentives have become one of the biggest motives behind high net worth individuals relocating to Portugal. Whether you’re looking to buy or invest in Portugal like Duncan or indeed Spain, Florida or Cape Verde, the Overseas Property Show is where smart buyers come to make their dreams come true! 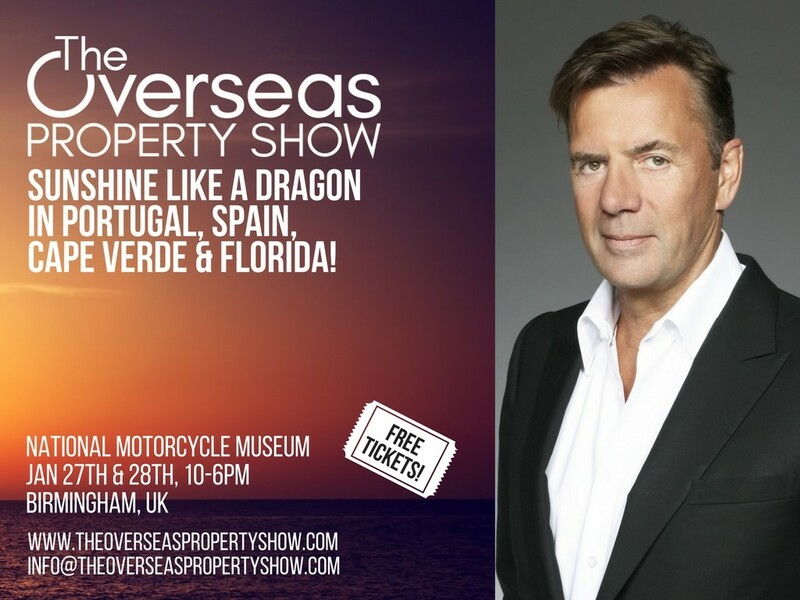 The Overseas Property Show is returning to Birmingham next weekend, Saturday 27th & Sunday 28th January at the National Motorcycle Museum. Free admission, free parking and all the information you need to set your plans to buy overseas in motion is here, so what are you waiting for? This immaculate 2 bedroom apartment on a quiet condominium is located in between Armaçao de Pera and Porches. Both towns are only a couple of minutes drive away. The apartment is within a 15 minute walk to a beautiful local beach, and only a few minutes walk to restaurants, bars, supermarkets and amenities. Ocean Homes is a private residential complex located on the very edge of the beach. A seafront location with direct access to the promenade and the sea. The complex 17.800m2 plot, incorporates a central lagoon with an island, garden areas, sunbathing and relaxation zone and swimming pools. In a unique beachfront location with 2 & 3 bedrooms and characterised by large spaces, modern materials and fittings. An expansive duplex suite with a spacious living area, a bathroom with a whirlpool bath and separate shower are all found on the lower level. A staircase leads to the master bedroom on the second level. The bedroom has a built-in wardrobe and large plasma TV. The suites also come with a private terrace and hot tub to enjoy the spectacular sea views. The recent Overseas Property Show in London has highlighted the relaxed optimism of British investors when it comes to purchasing a second home overseas in the wake of the Brexit vote. The popular show enjoyed an impressive turnout when it took place over 10-12 September in the Novotel London West Hotel & Convention Centre. “The London Overseas Property Show provided affirmation of something we’ve been noticing since the Brexit decision was made. Essentially, Brits appear to be relatively un-phased by the potential impact of Brexit when it comes to ownership of property in Europe. The show generated a large turnout of potential buyers keen to visit Portugal on inspection trips arranged through the Ideal Homes Portugal team. Buyers were interested in residential and commercial properties across the Algarve and in and around the Lisbon area. This restaurant, health club and spa with live-in apartment for sale for just €499,000 was of particular interest to a number of visitors. Portugal remains a popular destination for Brits looking to purchase a holiday property, either for their own use or for its rental potential (or both). The market there continues to grow, with the August 2016 RICS/Ci Portuguese Housing Market Survey revealing that demand continues to outstrip supply, with house prices rising across all regions covered by the report. 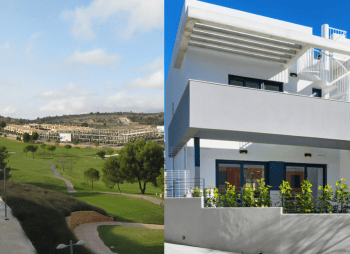 With potential buyers seemingly unconcerned about the impact of Brexit on their plans, Portugal’s charming blend of sunshine, sea, golf and incredible value for money is clearly still a winning combination. The hugely successful Overseas Property Show is set to bring the dream of second home ownership one step closer to becoming a reality this month. The free to attend show will be held at the Holiday Inn Birmingham Airport on Saturday 28th and Sunday 29th May 2016. The Overseas Property Show provides individuals with the opportunity to explore their dream of home ownership overseas, by talking to property experts from around the world at a convenient local venue. “Whatever the motive, it’s always a really useful experience for them to have access to experts in overseas property ownership. We’re also on hand to answer lifestyle questions too – anything from the price of milk to local customs! 2015’s shows were hugely successful. The shows welcomed thousands of visitors through the doors over the course of the year. For many of those visitors, it was the start of their holiday home dreams coming true. Many went on to book inspection trips and ultimately to purchase a sun-kissed second home overseas. Portugal is one of the most sought-after destinations for those visiting the shows. The housing market there offers excellent value for money when compared with the UK. Prices have been gently increasing for some time and the January 2016 Portuguese Housing Market Survey from RICS/Ci observing that price expectations point to steady gains over the course of 2016, with house price inflation expected to be around 2.5% in the Algarve (the country’s most popular region with British buyers). Whether it’s advice, guidance, a second home or a celebrity-style super home that you’re after, the Overseas Property Show is the place to be! Tickets are free to obtain and full details can be found at www.theoverseaspropertyshow.com. Following the huge success of its 2015 UK tour to date, the Overseas Property Show has just announced the addition of a Belfast show, on 20 and 21 November. The free to attend show will be held at the King’s Hall Conference Centre, presenting local residents with the opportunity to explore their dream of home ownership overseas. Featuring properties from Portugal, Cyprus, Spain, Italy and Florida, the Overseas Property Show will provide attendees with access to information on a huge range of homes, from studio apartments overlooking the sea to colossal villas in prime golf course locations. “It’s been a fantastic year to be part of the Overseas Property Show. We’ve seen individual shows attracting in excess of 800 visitors this year and we’re really excited to be able to add Belfast to the list of cities that we will visit before the year is out. This expertise has been invaluable to many of those looking to find out more about owning a second home overseas, buying commercial premises abroad and/or making the move to live permanently elsewhere as an expat. 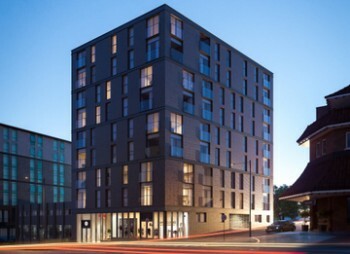 Even those with no desire to leave the UK can benefit from attending, as rental properties in European hotspots can be an excellent way to generate income and enjoy capital growth over the longer-term. So whether it’s advice, guidance, a second home or even a commercial property investment that you’re after, the Overseas Property Show is the place to be in Belfast this 20-21 November. 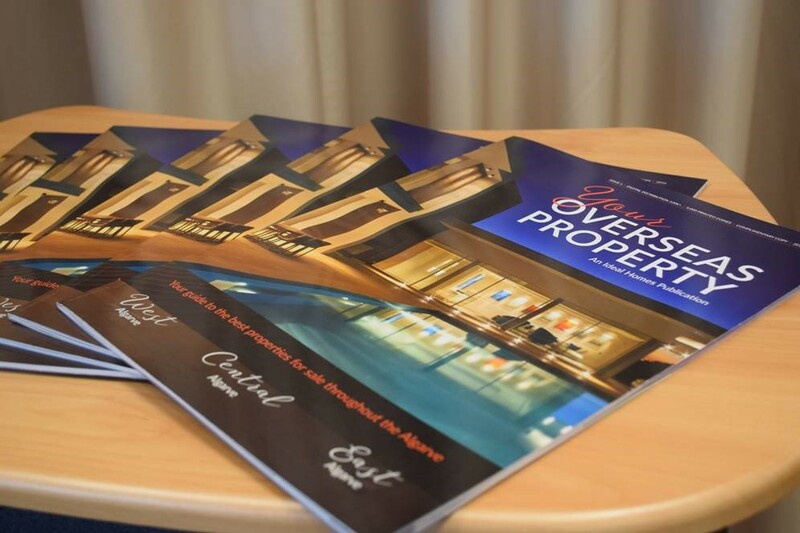 From a four bedroom villa enjoying panoramic sea and country views in Portugal, to a detached home with shared pool on a small complex in Cyprus, to a contemporary four bedroom townhouse near to Walt Disney World in Florida, the Overseas Property Show has it all. As the industry-leading Overseas Property Show nears the conclusion of its UK tour, which ends at the AECC in Aberdeen from 31 October to 3 November, celebrations of the success of this year’s events are already underway. The first six shows brought over 3,000 visitors through the doors, with clients keen to find out about properties in Portugal, Italy, Spain and the US. Visitors included those wishing to emigrate and ready to leave the UK as soon as they found the perfect property abroad, to those looking to turn the dream of owning a second home overseas into reality. Due to the breadth of its offering, this year’s Overseas Property Show has been able to satisfy every client’s wishes, from apartments in America to luxury villas in Portugal, such as this delightfully appointed and tastefully furnished five bedroom villa with pool overlooking the Algarve’s prestigious Quinta do Lago south course. As the harsh winter approaches once more, Scottish clients in particular have been keen to see what options are available in sunnier climes, with the Glasgow show attracting an impressive 700 visitors over the course of its three days. The Aberdeen show this weekend is expected to be equally well attended. 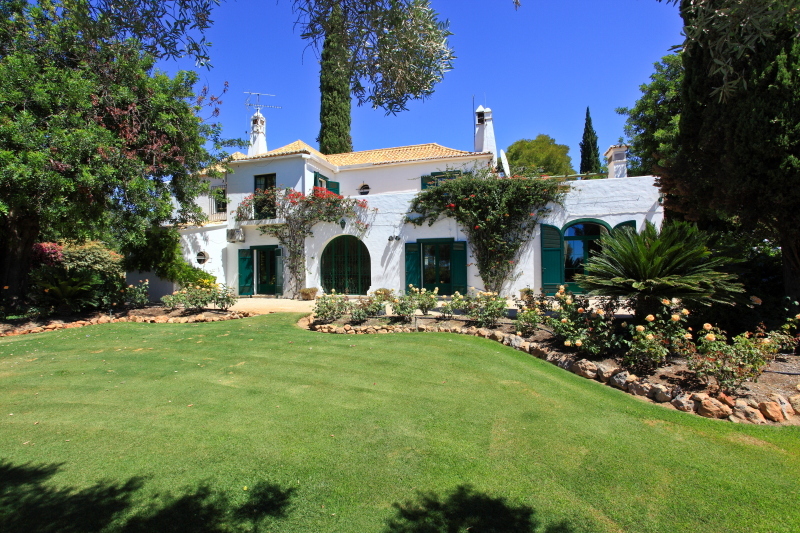 With their sales forecast for November estimated at €1.9 million worth of real estate, Ideal Homes Portugal is delighted with the success of the 2014 Overseas Property Shows. For Chris White though, the joy of what he does isn’t in the big numbers, but in the difference that finding their dream home overseas makes to individual buyers. It is this that drives the company’s ethos of providing excellent customer service during every transaction, the results of which can be seen in Ideal Homes Portugal’s long list of satisfied customers including Dragon’s Den star, Duncan Bannatyne!. Those yet to discover the pleasure of second home ownership through Ideal Homes Portugal still have the chance to meet the team in person in Aberdeen this weekend. Tickets to the final Overseas Property Show are free to obtain from www.theoverseaspropertyshow.com. Portugal has been hailed as one of the world’s best value places to visit, according to the just released Lonely Planet top 10 value destinations for 2015. The report emphasises the fact that Portugal as a tourist destination is here to stay, remarking upon the Algarve region’s position as trumping prices at other European resort areas. “PHMS results show sales activity continues to pick up, while prices appear to be a step closer to stabilisation. On the back of this, confidence in the outlook continues to strengthen. “Portugal’s economic journey certainly hasn’t been smooth over the past decade, but there’s definitely a feeling – within the property sector especially – that things are on the up. We’re seeing more enquiries and more sales, both from buyers within Portugal and from overseas purchasers. With confidence returning to the market, many see now as the perfect time to buy either a permanent residence or a holiday home in Portugal. 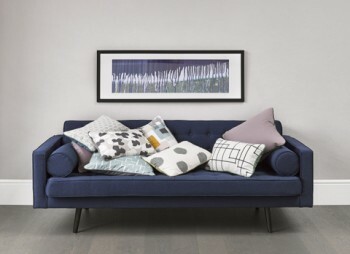 Prices have begun to rise – by 1.22% in the year to Q1 2014, according to Statistics Portugal (INE) – but there are still plenty of fantastic bargains to be had. Areas such as the Algarve, a perennially popular tourist destination, also offer the flexibility of using a second home as a rental property, with many owners making enough income during the peak summer months to cover their mortgage payments year round. Portugal’s value for money, beaches and golf courses entice many travellers to visit time and again and those willing to look beyond the most obvious destinations can find some impressive bargains. 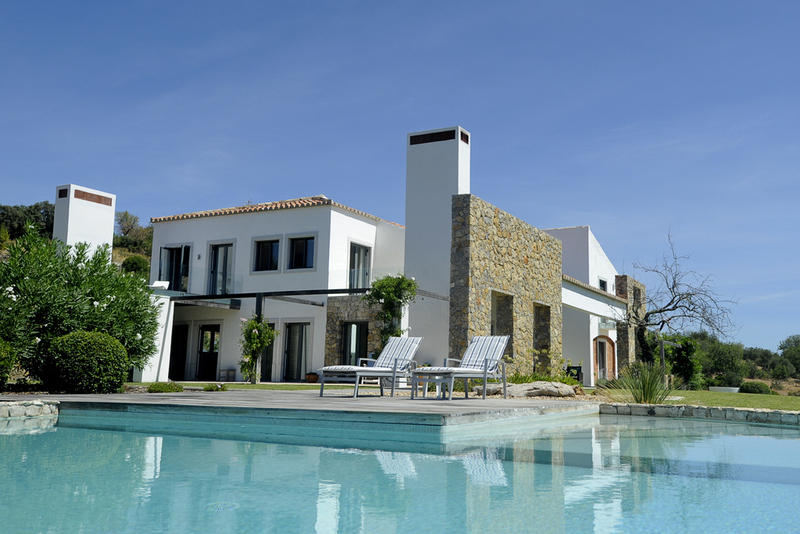 At the luxury end of the market, villas in the eastern Algarve, such as a four bedroom/four bathroom villa with infinity pool and 25,000 sqm estate bursting with olive and carob trees, in the picturesque Santa Catarina area, can be picked up for €1,625,000. Bargains in glaringly obvious areas are still to be had too. In the popular town of Albufeira, a beautiful four bedroom townhouse with communal pool can be picked up for just €249,500. The price includes modern touches like electric shutters and a central vacuuming system, as well as a fully fitted kitchen and outside BBQ and dining area. Many have chosen to use the Overseas Property Show as their means of assessing what Portugal has to offer. The show has received over 2,400 visitors already, with five UK cities under its belt. The two remaining events – Newmarket on 25-27 October and Aberdeen from 31 October to 3 November – are tipped to be just as popular. Free tickets are available from www.theoverseaspropertyshow.com for those looking to turn their second home dream into a reality. It’s been a whirlwind three months for the Overseas Property Show, which has so far brought a host of overseas property options to residents of six UK areas. Some 2,400 people attended the first five shows, with Glasgow proving to be by far the most popular. It seems fitting that the final show should head north of the border once more, to be held in Aberdeen. The end of this month will see the Gordon B Suite of the AECC packed with those interested in owning a second home overseas. From holiday apartments to retirement villas to primary residences, the free to attend Overseas Property Show has something for everyone. It will open in Aberdeen on 31 October and run until 3 November, offering some sun-kissed relief from the increasingly harsh winter weather. The property industry’s most dynamic show, the event will present properties from Portugal, Spain, Italy and the US. The Overseas Property Show has a reputation as the leading event for buyers looking to turn that dream of owning an overseas property into reality. “The Overseas Property Show is the show for anyone who is interested in buying overseas. As well as an incredible range of properties, it offers access to some of the sector’s key professionals all in one location – an opportunity not to be missed for those who are serious about owning overseas.